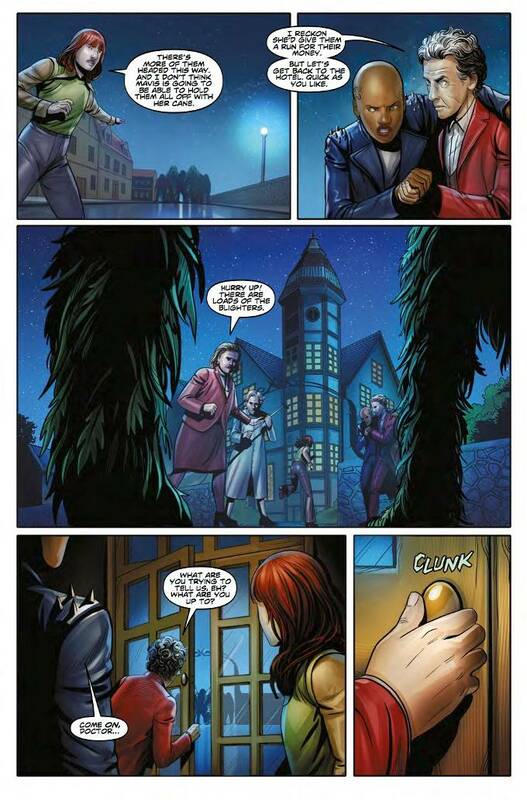 Lost and lonely following a loss he can't define, The Twelfth Doctor returns to his old companion Hattie Munroe - a 40th century rock star whom he met once before she hit it big. In need of an escape from her own success, Hattie agreed to go get some fish and chips for old time's sake. Little did they realize they'd wind up stuck in the middle of a British sea-side town under siege by strange swamp monsters and psychic attacks! 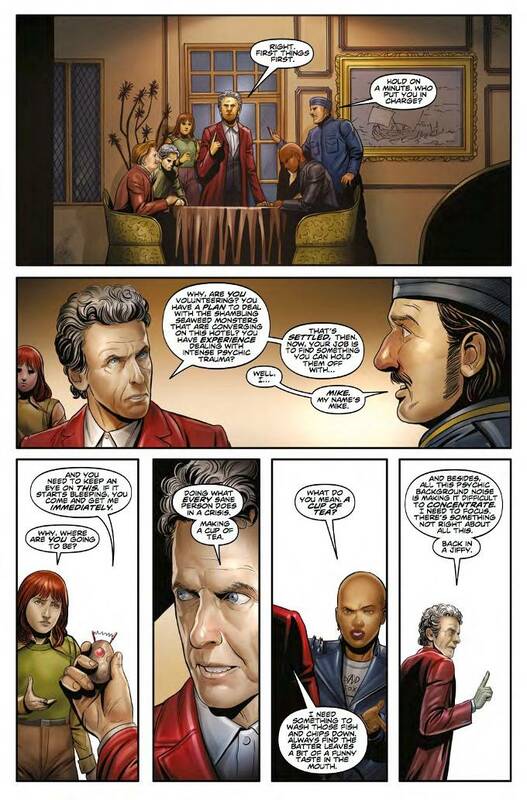 This second chapter of Beneath The Waves is vintage Doctor Who. George Mann's script builds the tension of the story beautifully. The artwork by Marian Laclaustra and Fer Centurion looks fantastic throughout, presenting some truly astonishing visuals. 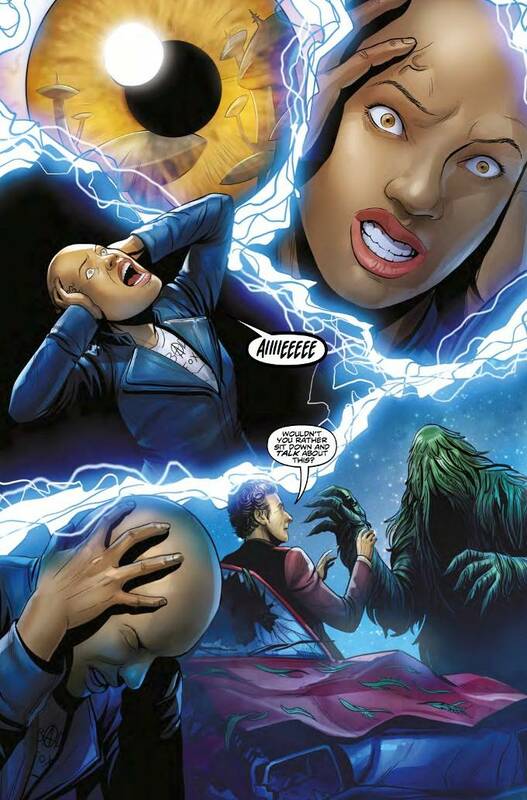 This is one Doctor Who comic that every fan of the show should be reading. 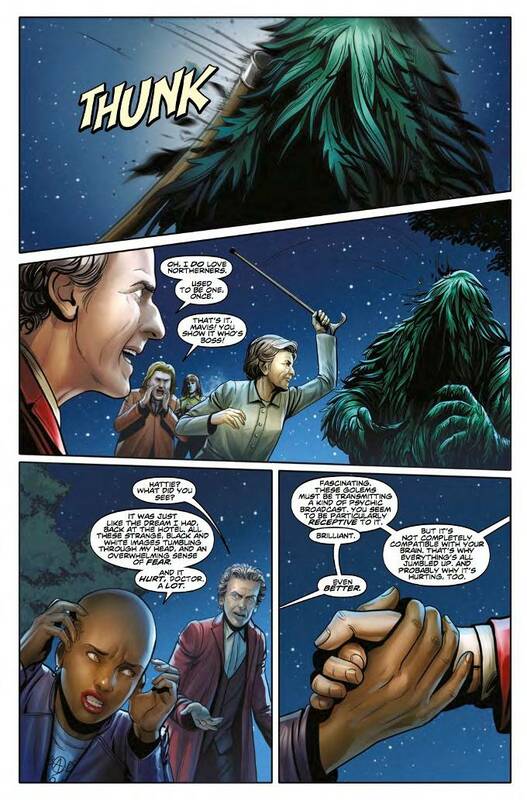 Doctor Who: The Twelfth Doctor: Year Three #3 releases May 17, 2017.